Tess has a Masters of Public Health from Emory University and makes maps for public health emergency response. She is an absolutely amateur cyclist but her favorite way to get to know a city is by bike. Tess has planned the Give Away Day event for FB4K for the past two years, and now serves as the Vice Chair of the Board. 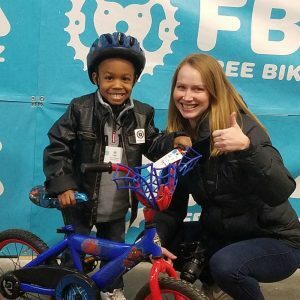 Tess commits her time to FB4K because she knows the sense of freedom and autonomy that a bike affords a child and wants to be a part of making that happen for kids in Atlanta. 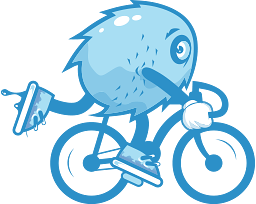 Sprague is our communications guru with a background in PR and community engagement. She currently serves as Vice President of Client Services for The Molly Fletcher Company, where she manages speaking engagements, content development and social media. A former college hoops player at Emory, she’s affectionately known as the non-cyclist of our group. You can find her cheering on her favorite sports teams, traveling the world, or checking out the newest restaurants around town. Sprague commits her time to FB4K because she loves seeing the smiles and pure joy on the kids’ faces at giveaway day. Stephen owns and operates a contracting firm that provides construction, remodeling, and project management services for both residential and commercial clients. He is an incredibly detail-oriented leader who keeps the FB4K team on their toes and working towards their goals. Stephen isn’t necessarily a “bike-guy”, but loves working on his bikes and riding them up and down the Beltline with a special drink in the cup holder, stopping by any of the numerous “watering holes” along the way. Stephen is committed to Free Bikes 4 Kidz because we spell “Kidz” with a “z” and “for” with a number. On top of that, he understands how important it is for EVERY kid to have a bike and enjoys working with the top-notch human beings in the organization. Jacob has done business consulting to help businesses maximize everything from business cash flow, to brand awareness, for the last 18 years. Jacob is a very determined guy with a big heart who commits much of his time to advancing the reach and impact of FB4K in Atlanta. Some of Jacob’s best memories growing up were made possible by having a bike, and hopes to play a part in allowing Atlanta youth to have the types of experiences that a bike makes possible. Professionally, Doug works with clients to solve business problems through critical analysis and logical transformation, but bikes are his true obsession. Although he may appear easy-going, Doug is a closet type A who will keep a bike warehouse running smoothly no matter how many bikes there are to fix. 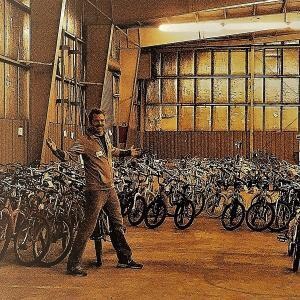 Doug commits his time to FB4K because he knows that the huge number of unused bikes in the US could easily be given to a child or teenager and open up a world of independence and opportunity for them. Sharif is the co-owner of the Spindle, a commuter apparel shop, and an active member in the community focused on bringing folks together to make our city even better. For Sharif, Bicycles have been his outlet, his independence, his therapist and his best friends. 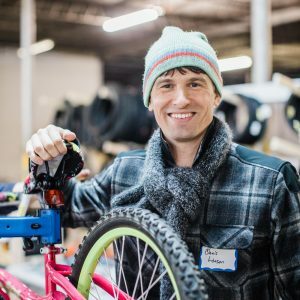 This simple machine has changed his life for the better and works to bring his love of cycling to the community to increase accessibility and opportunity for those who ride. Nicole is a native of Atlanta and is passionate about its development as a responsible, respectful and sustainable city. 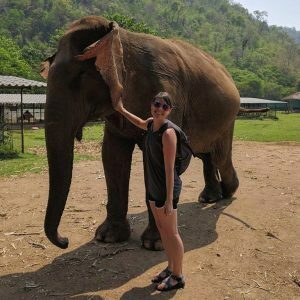 She’s currently gaining experience with land development through her role at an international architecture and engineering firm headquartered in Midtown, GreenbergFarrow. 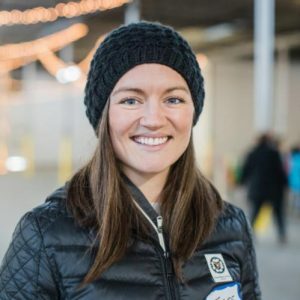 Living in Southeast Atlanta, Nicole is passionate about expanding safe bike paths throughout the city for commuting options, as well as preserving paths that allow residents to enjoy the nature of our city in a forest. Matching these development goals with her enjoyment working with kids, FB4K Atlanta is the easiest and one of the most fulfilling organizations to volunteer for and support! 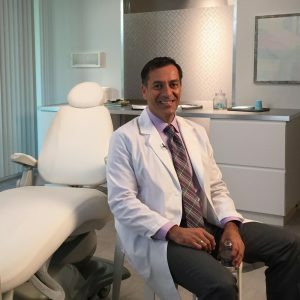 From his Midtown Atlanta dental office, Andrew enjoys getting his patients’ smiles healthier so that they are more confident to share them with others. 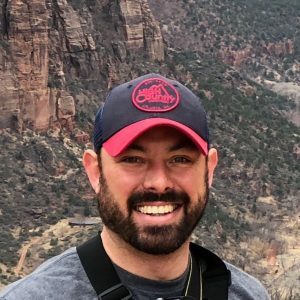 Andrew has been an avid supporter of FB4K Atlanta from the very beginning, and is passionate about getting more kids in our community out on bikes that may have otherwise gone unused. He can remember the first bike he got when he was 7 years old, and wants all kids to get to experience that feeling of riding your bike fast to somewhere fun. 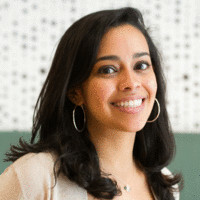 Nadine is a project manager at athenahealth, building the healthcare backbone. 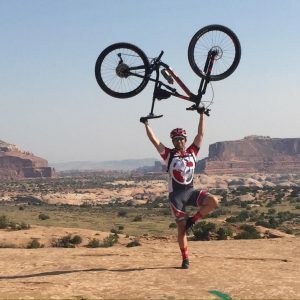 As a former Mobile Social ride leader, she has been actively involved in the Atlanta cycling community for several years. While not your standard spandex-clad cyclist, her riding experience ranges from a weekend-long 180-mile trek across Maine to your casual Sunday ride through the park. While Nadine spends her days at athena connecting doctors to laboratories, she works with us to connect kids to bicycles. She loves the feeling of being “Bike Santa,” knowing the impact that a bicycle can have on a child’s life. 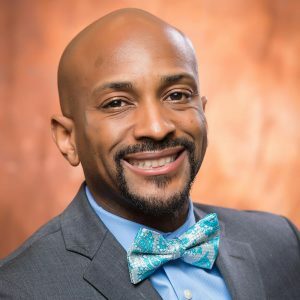 Dorian is Vice President of Finance and Administration for the Decide DeKalb Development Authority. In this role he is responsible for accounting, financial planning and analysis, fiscal reporting, budgeting, compliance, investor relations and administrative functions. 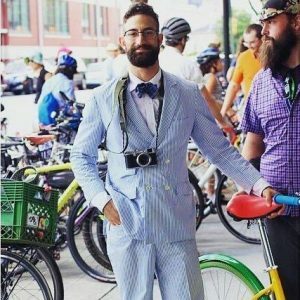 A Certified Public Accountant, Dorian is a Georgia Southern University graduate and loves to bike throughout his East Atlanta community. Chis is a former amateur triathlete, turned cyclist and one of the founders of FB4K Atlanta. A graduate from USNA and MIT, Chris now works at North American Electric Reliability Corporation within the Standards Department, helping to keep the national grid stable & reliable. In his downtime, you can find him pit-stopped at The Spindle, Krog Street Market, or on his way to Stone Mountain to find some hills. Chris loves exploring Atlanta on his carbon fiber Look. Unfortunately, Look is not French for “fast”.